Good dreams are sure to come if you create your own dreamcatcher and hang it in your tent. 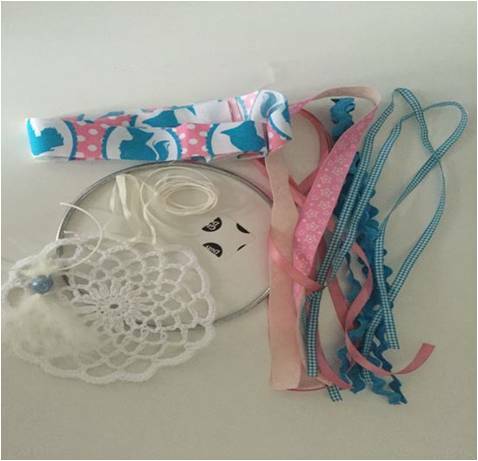 Use, lace, ribbon, fabric, feathers and beads to weave your very own dreamcatcher and have sweet dreams. Lovingly handmade by us, we only use premium ribbons and embellishments. Come with easy to follow illustrated instructions. Each dreamcatcher kit makes 1 dreamcatcher.